Gardeners at 485 Elm are welcome to initiate projects here. Liz visited last year, and we were happy she joined this season. Before moving to Montpelier, Liz operated a gallery-B&B-CSA in Moscow, Vermont. She continues to make art and garden, sometimes together. Lucky us. Now that the flowers Liz started indoors and planted here are starting to bloom, it’s time for a flower-cutting lesson. Cutting a flower just above the new bud growth. 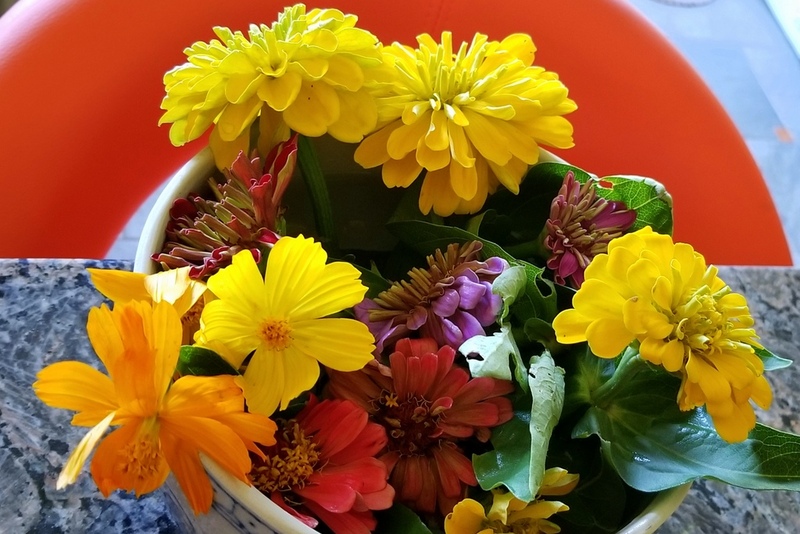 In this video, Liz demonstrates how to cut garden flowers. 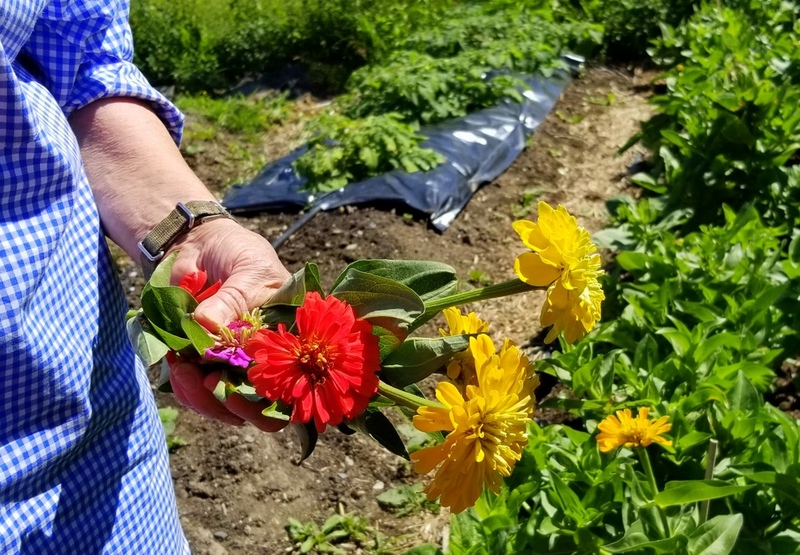 She later noted that the flower she’d shown here is a marigold, not a zinnia. Our first bouquet of the season. Now that we’re harvesting, we put the bounty of the day in the shade for gardeners to take home. Today’s take included patty pan squash, yellow squash, greens with tiny beets from beet-bed thinning, and our first flowers.